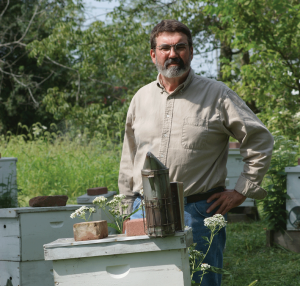 I have enjoyed reading your “Ask Phil” column in Bee Culture magazine. In the last few months you have been missing. When might we expect to hear from you again? Thanks for asking. Last Winter I decided to take a short vacation from the column and then resume it on an irregular basis. I told the editor that I am semi-retired. (My wife, who is familiar with my schedule, scoffs at this notion.) In reality, I was tired of monthly deadlines; it was beginning to seem too much like a job. Before “Ask Phil” could make another appearance I became seriously ill. For several months I did not have the energy to do any writing or even to read and reply to emails. I had to cancel my scheduled speaking commitments. I am also replying to emails again. That is the part of doing this column which I enjoy and which has never seemed like work. So if you have questions, please send them to phil@philcrafthivecraft.com. Phil’s note: I received the original question in July. I’m just having the strangest issue. ALL three of my hives are fighting and killing out of their own hives. They are NOT fighting with other hives. They seem to be fighting over food. But I don’t know why because I have a massive top feeder inside the top and I’m putting one or two cup feeders at each entrance. I had only been using feeder cups but then I noticed they weren’t fighting other hives, they were actually fighting their own. So I went to a top feeder thinking if they could go up & down to feed it may lessen the fighting. I have one hive that’s DUMB!! I’m so serious. I have a top feeder in them for past two days, and none of them can figure out how to go up. Instead, they are going down to the cup and then killing each other. I keep finding two dead bees interlocked with each other. What is going on with my bees? All three hives are nice too. Their behavior is pleasant. A robbing screen. Robbers trying to take a direct entrance are kept out by the screen, while house bees leave and enter on the side. It’s much easier to explain what’s going on than to deal with it. The best course is to take precautions to prevent such a situation, but unfortunately you are past that post. Your normally pleasant bees are robbing each others’ hives. 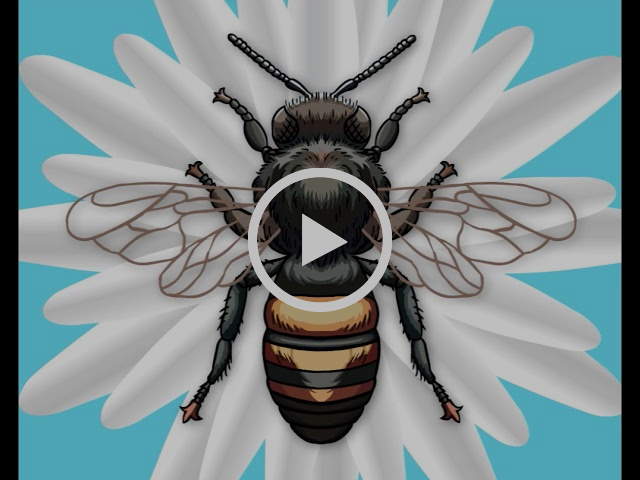 Bees perform a series of tasks over the course of their short lives and perform them in specific ways, not because they are smart or dumb, but because they have evolved to behave that way. The ultimate outside job for most bees is the collection of nectar and pollen, and they are quite efficient at it. So efficient that each healthy colony can collect food for its immediate needs and for winter stores, and still have enough left over to furnish honey for our kitchen tables. Bees are programed to seek out nectar, bring it back to the hive, and communicate the location of the source to other workers. Even when a colony already has an excess of food stores, its bees continue to search for more because that’s what bees do. In a dearth, when outside food is scarce, they sometimes find it in a nearby hive. Strong colonies can usually defend themselves, but weak ones risk being gutted. Occasionally, once robbing is triggered, it leads to a sort of feeding frenzy in which multiple hives rob each other, sometimes extending to an entire apiary. 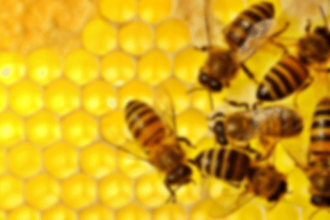 Robbing is a natural behavior but, in the practice of the un-natural art of beekeeping, we create conditions which make it more likely and more severe. Honey bee colonies in nature are located hundreds of yards apart; we sometimes cluster hives twenty, thirty, or more in a single location. That means both that the little burglars do not have far to go and that robbing cues are communicated more quickly to more hives. Beekeepers can also abet thievery by open feeding: the practice of placing an open container of syrup somewhere in or near the apiary as opposed to using in-hive feeders. This can have the effect, especially during a dearth, of training bees to seek out non-floral food sources such as a neighbor’s stores. I am obviously not a fan of open feeding; the same objection applies, to a lesser extent, to entrance feeders. I think that – far from being too dumb to go up to your top feeders – your bees were simply too busy defending themselves from robbers attracted by the easily accessible cup feeders at the hive entrance. Even setting frames or supers off a hive in the course of inspecting during a dearth can trigger robbing behavior. I will admit to learning this the hard way. I once removed a super of honey from a hive, not aware of how weak a nearby colony was. The super was only off for a few minutes, but the result was death and mayhem: food reserves robbed out, bees killed, and an entire colony lost. You have an opportunity to profit from my example of what not to do. It’s too late to prevent robbing this time, but there are steps you can take once it has begun. First, immediately stop all feeding. Next, restrict the size of the entrance. Entrance reducers give the colony a smaller opening to defend. In lieu of reducers you can use grass clippings, rags, or crumpled newspaper – anything you can stuff into the entrance to block it completely or partially. 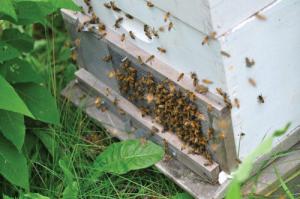 The advantage of grass is that the bees in the home colony will remove it themselves when it’s safe to do so. Honey bees have very short term memories, so robbing is usually a one day event. As long as the stimulus is removed, they will forget all about it overnight. Whatever material you used to pack the entrance can be removed at dusk or early the next morning. In hot weather screen or hardware cloth will restrict access but allow airflow. A sheet draped over the hive has the same effect. Another option is robbing screens, sold by beekeeping suppliers. These allow limited movement in and out by the occupants of the hive, but discourages robbing bees from going to the entrance where they smell honey, and going straight in. They work. I have several of these devices, and insert them at the first sign of robbing. Unfortunately, a lot of damage can be done before a beekeeper notices robbing and has time to take appropriate action. In the future, try to prevent it by avoiding practices which trigger it. I’m so angry at this robbing. I didn’t have this issue until I asked another beekeeper for advice. He said he thought my bees were starving. He has eight hives, and uses a five gallon bucket he flips over to feed them ALL. I did this the next day and that was the very second this robbing started!! I’m so angry that I listened to someone other than you. So, just like that it’s peaceful again!! Thank you! I over treated my 16 frame beehive. I used two full packets of ApiLifeVar, four tablets, when I should have only used two tablets (one package). Do I run the risk of killing my queen and/or damaging the hive in this way? Proper placement of the four broken pieces of ApiLifeVar. First of all, remove any excess ApiLifeVar as soon as possible. According to the directions, you should have used only half of a packet (one tablet broken into four pieces) for a single hive. Another tablet is administered after seven to 10 days, and another seven to ten days after that, for three applications in all. ApiLifeVar is composed of fairly innocuous ingredients (thymol, eucalyptus oil, menthol, and camphor), but it is designed to release them gradually, through evaporation, over a period of about a month when used as directed. Over exposure is not good for the colony. 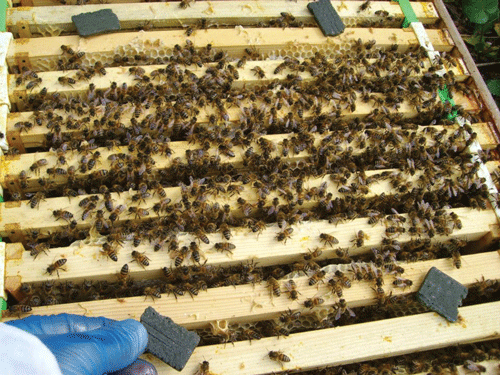 Though the treatment is safe and effective when used correctly, over exposure is not good for the colony. The effect of using too much product, or using at it at higher than recommended temperatures, may be to temporarily drive the bees from the hive. 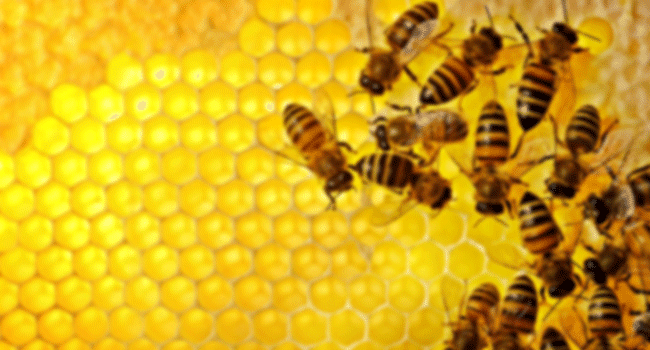 The queen and other adult bees are unlikely to be harmed, though there is a possibility that they will abscond, or leave the hive permanently. If they have not done so in spite of the over treatment, your greatest risk is damage to the brood. 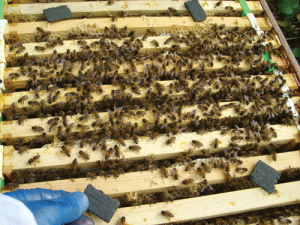 Larvae are more vulnerable than adult bees, which is why the directions call for placing the tablet pieces on frames along the outer edges and not directly over the brood area. Wait a week, then look for fresh eggs or young larvae. Always make sure that you understand label directions before using any product. If you have more questions about ApiLifeVar, supplemental instructions are available at http://www.veto-pharma.com/varroa-control/66-apilife-var.html.